By far my favourite pistol magazine pouch. 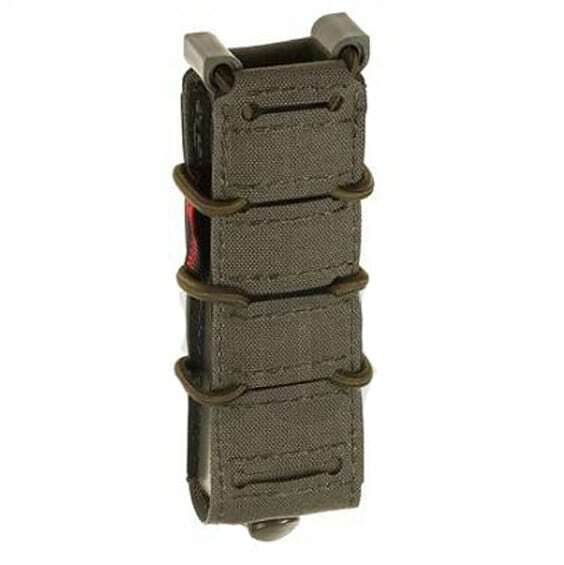 The adjustable elastic straps provide the right retention to hold pistol magazines in place. With the tight lasercut molle on the back you can mount this pouch to your battlebelt or any other Molle platform.